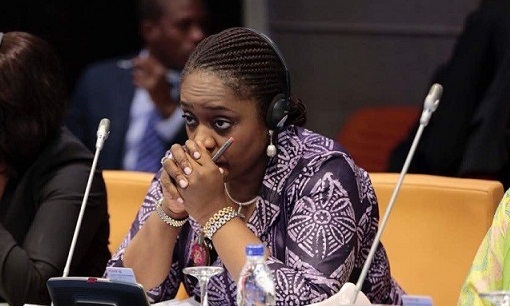 Nigeria’s Finance Minister, Kemi Adeosun, has reportedly resigned, DailyTrust reports. It is not clear when she submitted her resignation letter. A source within the presidency who spoke with the national daily, said the resignation followed the NYSC certificate forgery scandal she had been enmeshed in. Recall that in July, Premiumtimes had reported that she never partook in the mandatory One year NYSC scheme, a prerequisite to picking any job in the federal service. The source in the presidency said Adeosun felt that her position is becoming untenable and is hurting the President in the run up to the 2019 election. Till date, she has not come out to deny the NYSC certificate forgery allegation. LIB reached out to Bashir Ahmad and he said he could neither confirm nor deny the report.